Making beaded jewelry is always a great gift option for birthdays or holidays, and this Pretty Pink Cube Bead Set would make a lovely present for any girly girl. This matching earrings and bracelet set makes accessorizing easy. 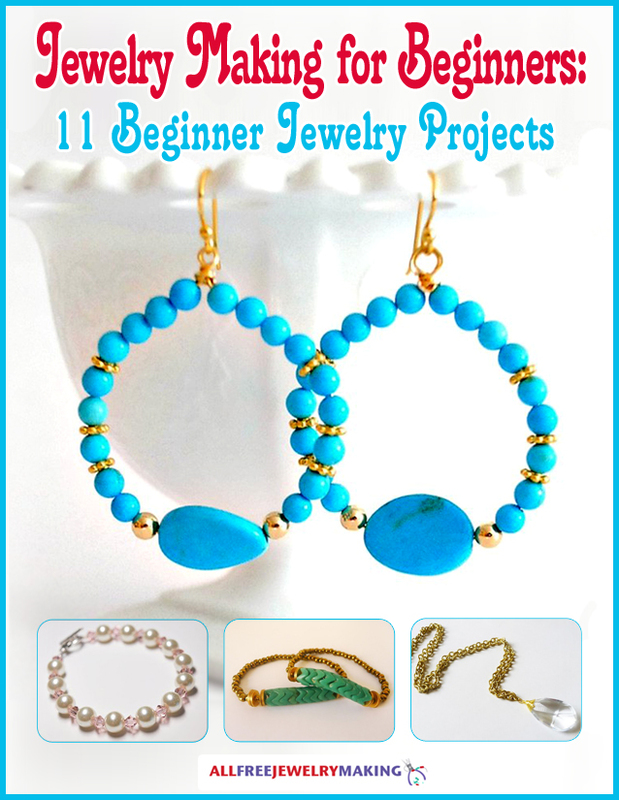 With gorgeous free beaded jewelry patterns like these, you'll never need to make a last minute gift run again! Thread one seed bead, a crystal bead, and another seed bead onto a head pin. Use chain nose and round nose pliers to make a loop after second seed bead. Use wire cutters to cut off excess head pin. Attach loop to an ear wire. Repeat for second earring. Thread one seed bead and one crystal bead onto a head pin. Use chain nose and round nose pliers to make a loop after crystal bead. Use wire cutters to cut off excess head pin. Repeat to make seven more bead dangles. Use jump ring to attach lobster clasp to one end of 8-inch chain. Attach a bead dangle by its loop to other end of chain. Space remaining bead dangles evenly along chain and attach by their loops to chain links. This has my grand daughters name all over it. But since she can't wear the earrings, I will make a matching necklace for her instead. This is so easy, all I have to do is shorten the length of the bracelet. Her wrists are a lot smaller. But then I can whip right thru this one. Thank you for inspiring me.